Yumeyura　is a head massage salon that focuses on sleep. Our salon is 30 seconds from Nerima station. ☑ I use my PC a lot. My eyes are tired, and my shoulders are stiff. ☑ My work is very tough, so my mind feels tired. ☑It takes time for me to fall asleep. ☑I wake up　many times during the night. ☑It is tough for me to get up in the morning. ☑I am tired　even after slept a lot. 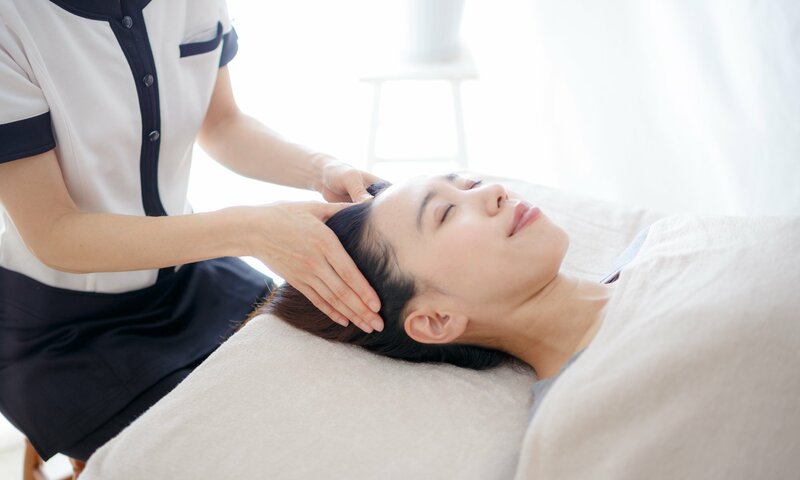 We relieve your tension by massaging your head. There are many acupressure points of autonomic nerve in our heads. We massage gently from your head to neck, and shoulders. Our massage improve the blood flow to the brain and balance the autonomic nerves. They will lead you to good sleep.